THE SMALL village of Lusk in County Dublin said goodbye to road racing legend Martin Finnegan at his funeral yesterday. 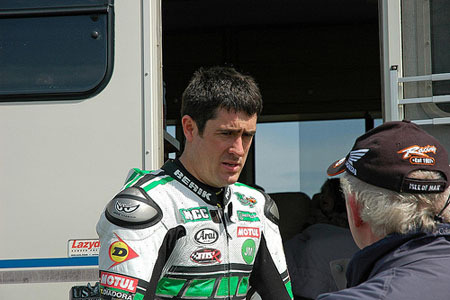 Finnegan sustained fatal injuries during the Tandragee 100 road race when he crashed during the final stages of the race. A photo of the talented racer, snapped at the Tandragee 100 road race in Co Armagh shortly before his death, adorned the cover of the prayer booklet. Around 2,000 motorcyclists made the trip Lusk, Co Dublin, to say farewell to Finnegan. He is survived by wife Brenda, daughter Rachel, parents, Jim and Margaret, and siblings Elizabeth, Ger, James, Paul, Sean and Peter.